Supporters of holding a Constitutional Convention to fix problems in state government say they are disappointed with the resounding defeat of the measure in Tuesday’s voting, but they say they are not giving up. The ballot proposition on whether to hold a state Constitutional Convention was soundly defeated in Tuesday’s election. But a second question of whether to strip pensions from convicted lawmakers was approved. In odd-numbered years, Election Day consists of a hodgepodge of state, local and special elections. But in an era when, to flip an old phrase, all politics is national, these low-profile, low-turnout elections might have a lot more to say about the direction of the country than may have been the case just a few years ago. 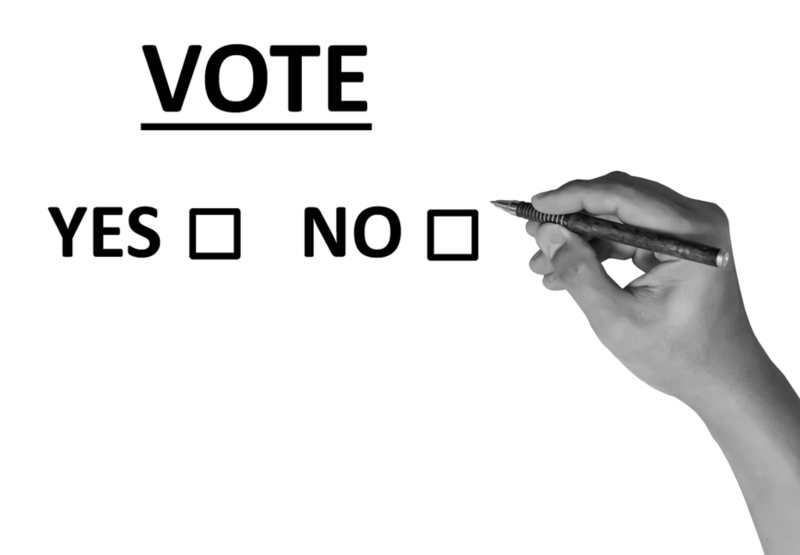 There are three propositions on the ballot in Tuesday’s elections, though one has proven to be more controversial than the others. WBFO Albany Corespondent Karen DeWitt reports. 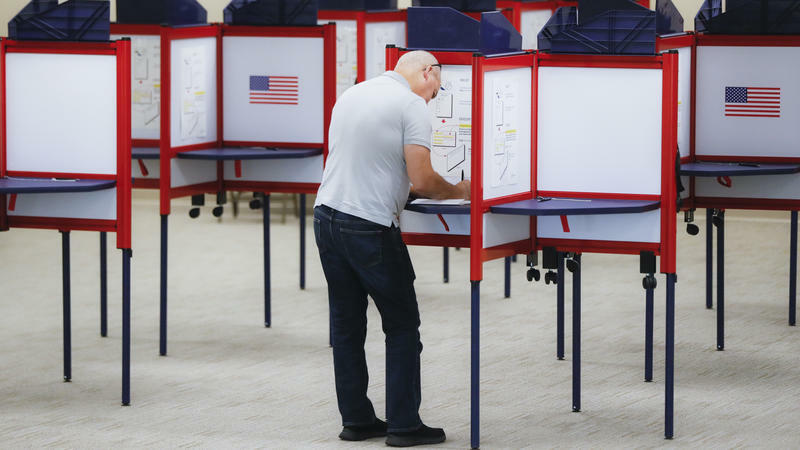 A new poll finds that the ballot question on whether to hold a constitutional convention in New York has become widely unpopular with voters. There is some misinformation on social media regarding a key ballot item in next month’s elections on whether to hold a constitutional convention. We walk up the trail to the summit of Hadley Mountain in the southern Adirondacks, fallen leaves crunching underfoot. 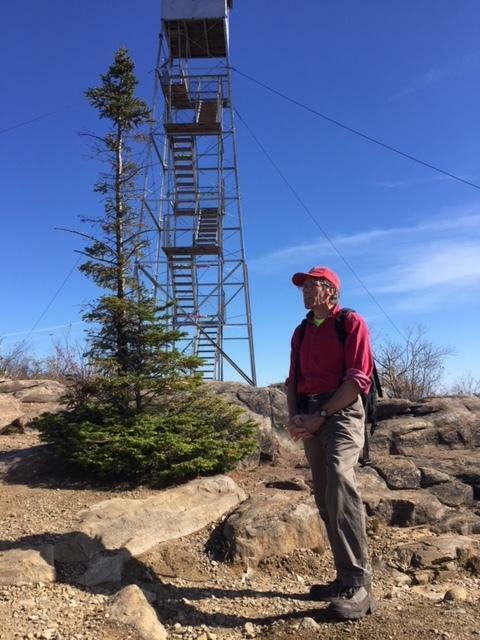 The wind picks up a bit as we climb up the fire tower for the panoramic view. 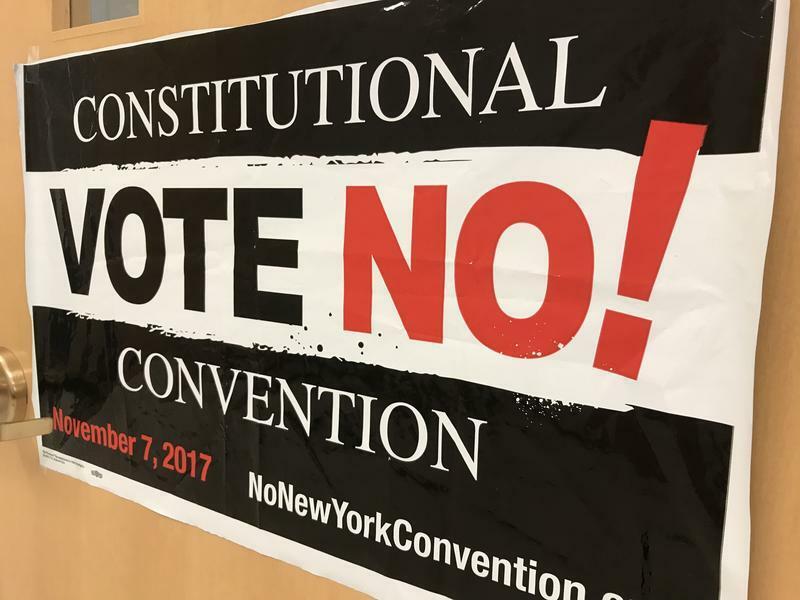 A wide variety of groups have spent over $1.3 million dollars to urge voters to vote no on holding a Constitutional Convention. 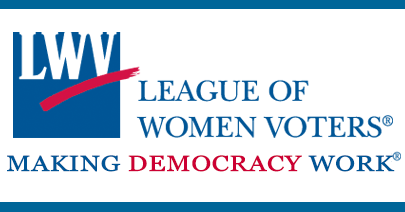 As Karen DeWitt reports, the opponents have far outspent a smaller number of advocates who urge a yes vote on the November ballot. A new poll finds waning support for a constitutional convention in New York. The issue is on the ballot in November. 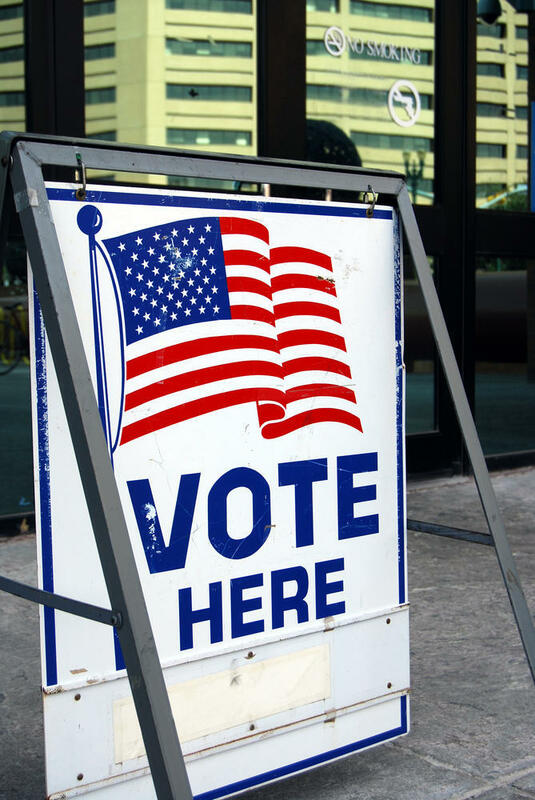 It may sound like a Broadway musical, but New York State voters this November get to decide whether to stage a "Con Con" that could have a much greater impact. Add Gov. Andrew Cuomo’s name to the list of state politicians wary of holding a constitutional convention. 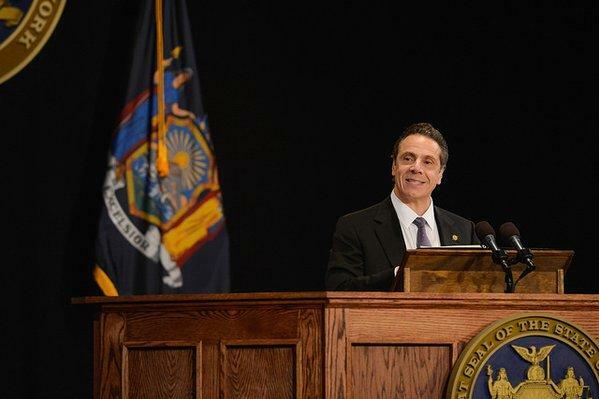 Voters get to decide this November whether New York should hold the event. Voters get a chance to decide in the fall whether the state should have a constitutional convention. Both legislative leaders, however, say they are against it. 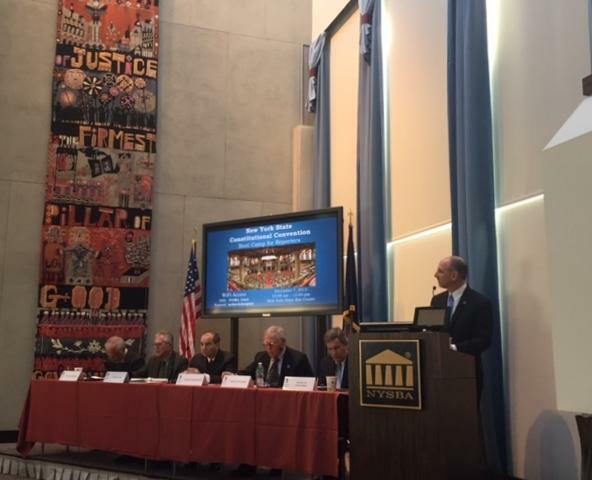 The New York State Bar Association is urging Governor Andrew Cuomo to set the stage for a possible constitutional convention in 2019. 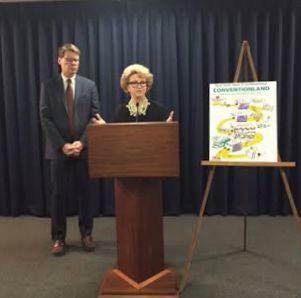 New Yorkers will soon get a chance to decide whether to hold a constitutional convention in New York- but some government reform groups say there needs to be some major changes made first- including banning double dipping by state lawmakers who might become delegates. The last time the state held a constitutional convention, Bobby Kennedy was senator. That was in 1967.